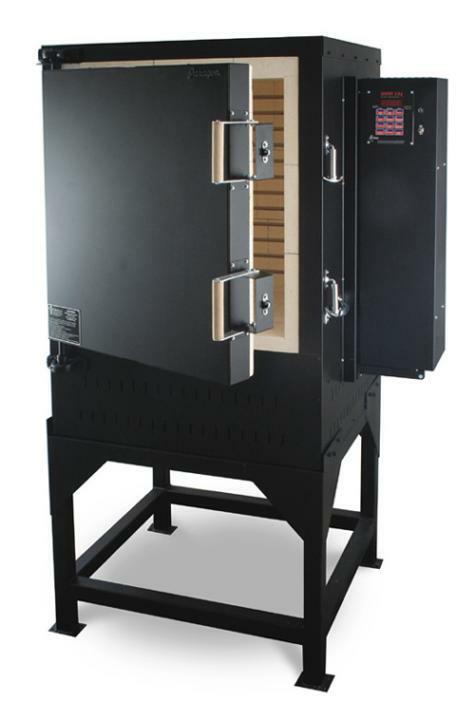 New BEAST of a kiln, FIRES HOT!! The Dragon exudes power. Its 16,500 watts heat the 24 inches wide, 24 inches deep, 27 inches high interior to cone 10 with ample power to spare. This results in long element life, because the elements do not “struggle” to reach high temperatures. Dropped, recessed grooves seat industrial-gauge elements for long life. Extra insulation saves energy and lengthens cooling. The 4” thick walls, top, and door are made of 3” firebrick backed by 1” of ceramic fiber block insulation. The floor is 4 ½inch thick firebrick. The inner door is recessed to help seal in the heat. Because these kilns store heat so efficiently, elements last longer. The extra insulation not only saves energy but also cools the kiln slowly without having to turn the elements back on. This gives the micro-crystalline structure and color of the glaze sufficient time for full development. Cool slowly to achieve dramatic shifts in glaze colour such as iron reds and enjoy the richer look of gas firing. 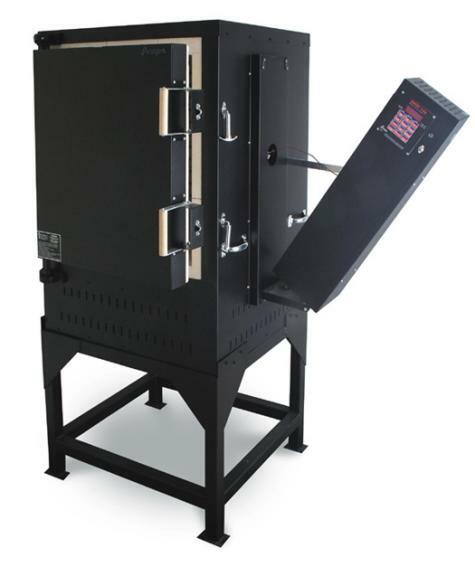 Create breathtaking pottery in this exciting kiln. Long-lasting mercury relays power the elements. A bank of built-in high-amperage fuses protects the kiln and circuit wiring. The 24inch tall stand is also available with casters for easy moving. The Dragon will fit through a 34 inch doorway if the handles and back element cover are temporarily removed.